Kick off your visit on the 17th (Sun): take in the spiritual surroundings of Grace Cathedral, then stop by City Lights Booksellers, and then steep yourself in history at Alcatraz Island. On the 18th (Mon), you'll have a packed day of sightseeing: steep yourself in history at SS Jeremiah O'Brien, then go for a walk through Fisherman's Wharf, then take in the views from Golden Gate Bridge, and finally take in the awesome beauty at Twin Peaks. To find photos, where to stay, more things to do, and more tourist information, you can read our San Francisco tour builder tool . London, UK to San Francisco is an approximately 14.5-hour flight. You can also do a combination of flight and train. The time zone changes from Greenwich Mean Time to Pacific Standard Time, which is usually a -8 hour difference. Traveling from London in February, things will get a bit warmer in San Francisco: highs are around 62°F and lows about 48°F. Wrap up your sightseeing on the 19th (Tue) to allow time to drive to Yosemite National Park. Kick off your visit on the 20th (Wed): take in the dramatic natural features at Glacier Point, then hit the slopes at Curry Village Ice Rink, then take some stellar pictures from Tunnel View, and finally appreciate the extensive heritage of Big Trees Lodge, National Historic Landmark. Traveling by car from San Francisco to Yosemite National Park takes 4 hours. Alternatively, you can do a combination of flight and car; or do a combination of flight and bus. When traveling from San Francisco in February, plan for little chillier days and colder nights in Yosemite National Park: temperatures range from 48°F by day to 18°F at night. Wrap up your sightseeing on the 20th (Wed) early enough to travel to Los Angeles. 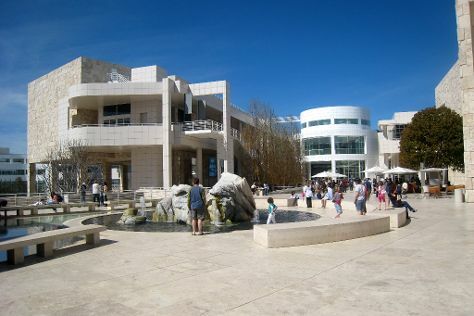 On the 21st (Thu), take a leisurely stroll along Santa Monica Pier, examine the collection at The Getty Center, then don't miss a visit to Hollywood Walk of Fame, and finally look and learn at Griffith Observatory. To find reviews, maps, where to stay, and more tourist information, read Los Angeles journey planner . Traveling by combination of car and flight from Yosemite National Park to Los Angeles takes 4.5 hours. Alternatively, you can drive; or do a combination of bus and flight. 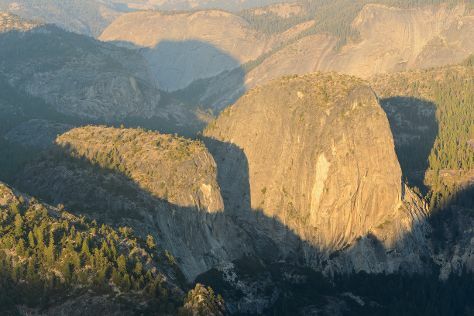 Expect much warmer temperatures when traveling from Yosemite National Park in February; daily highs in Los Angeles reach 71°F and lows reach 51°F. You'll have a few hours on the 22nd (Fri) to wrap things up before traveling home.